In the recent Global Burden of Disease study, four of the top ten causes of disability worldwide were chronic pain conditions. Chronic pain is defined as pain that lasts beyond normal healing time – usually three months – and is one of the most common global causes of incapacity. It rarely occurs by itself, however, and is one of the most common conditions to present itself alongside other chronic conditions, such as diabetes and COPD. This increases the overall burden of disability, and the impact of each chronic condition. The exact reason why some people suffer from several chronic diseases and others don’t, is not well understood. However, we have discovered that genetics could partially explain this. Two of the most common disorders which occur alongside chronic pain are depression and angina. There is already evidence of shared socio-demographic risk factors for all of these conditions, particularly older age and social deprivation, as well as lifestyle factors. However these do not explain all of the shared risk. In order to investigate a risk within families and a genetic explanation for chronic disease, we examined two major groups, for the co-occurrence of chronic pain, depression and heart disease in individuals and their siblings. Data from Generation Scotland included 24,000 individuals, recruited in family groups, with data on multiple chronic illnesses, socio-demographic and psychological factors, and blood from which DNA was genetically analysed. When the data was collected, 18% of participants reported chronic pain, 13% had a history of major depressive disorder and 10% had angina. 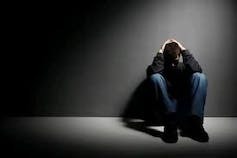 We looked at the existence of two or three of these conditions in individuals and we found that people with depression were two and a half times more likely to experience chronic pain; while people with both depression and heart disease were nine times more likely to experience chronic pain. It is clear that the existence of one condition increases the chance of an individual having another, or both of the other conditions. A familial risk was confirmed when we looked at siblings of people affected by these conditions. A sibling of someone with heart disease was twice as likely to have chronic pain, and siblings of those with depression were twice as likely to suffer from heart disease. This suggests that genetics plays a part in these chronic diseases, in addition to known social and demographic factors. The magnitude of a shared genetic explanation for these chronic conditions was examined by looking at sets of twins. TwinsUK has data on 12,000 identical and non-identical twins from across the UK, of 16-98 years of age. In a sample of 2,902 of these, 20% suffered with chronic pain, 22% had depression and 35% reported a cardiovascular disease. We compared the rates of occurrence of a condition, and of co-occurrence with another, between identical and non-identical twins. 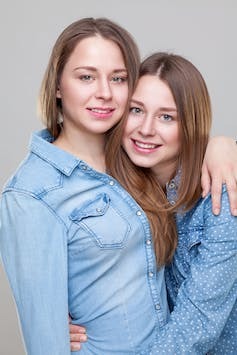 In identical twins, it was consistently more likely that both individuals would be affected, by any of the conditions, than non-identical twins, which further confirms that there is significant genetic contribution. When we examined the co-occurrence of chronic widespread pain and heart disease in our twins we found that the model that best explained the co-occurrence was a combination of both genetic and non-shared environmental factors. Although there are numerous causes of chronic pain, there are similarities in the socio-demographic factors explaining their development. Recent research shows that there are also similar biological factors present in the development of different types of chronic pain. 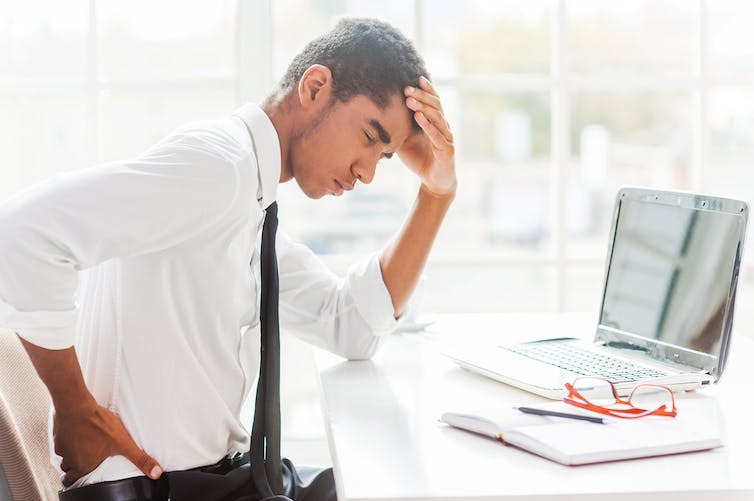 For the sufferer, it is the pain itself, rather than the cause, that produces the most distress and disability – most chronic pain sufferers had it for more than five years at more than one site. The most common chronic pain, back pain, accounted for 146m years lived with disability in 2013, three times the level of depression. Overall, 19% of adults in Europe, and 6% in the UK, were found to have significant chronic pain that was intense, severely disabling and limiting. This is similar to the prevalence of conditions such as cancer, heart disease and diabetes. As well as the issue that chronic pain represents for individuals, its management places an important burden on healthcare services – and it impacts on families, society and the economy. Therefore, the finding that a genetic mechanism could help to explain the co-occurence of these conditions is significant to allow further research. The exact genes involved in the occurence and co-occurrence of chronic pain need to be identified, so that we may switch them off at an early stage and try to develop new treatments. Of course, it will always be important to understand and address the socio-demographic causes of disability and co-occurrence of conditions – especially with regards to factors we could change, such as deprivation. However, our research also suggests a new model of chronic disease, based on genetics and biological factors. Genes are important in determining the risk, both of chronic disease itself, and of co-occurrence of other disabilities. Only a deeper understanding of these factors will allow the development of new preventive and targeted treatments.